The following was written by Bonnie Boglioli Randall and published as part of Animation Career Review’s Interview Series. For a polytech college, there are few better places to be situated than in the heart of Silicon Valley in California’s Bay Area. Cogswell College certainly benefits greatly from its immediate surroundings which offer a wealth of opportunity for students and faculty alike. 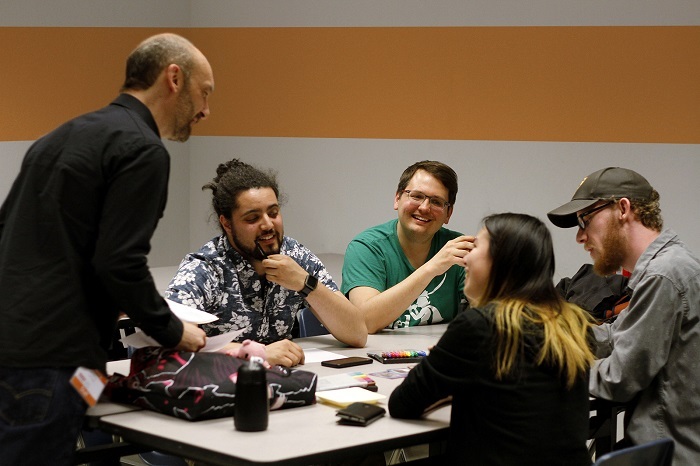 But it’s the college’s unique blend of a strong foundational curriculum (culminating in Bachelor degrees) alongside marketable skillsets for competitive industries that attract aspiring game designers, 3D animators, and digital artists. Students gain not only a Bachelor degree but more importantly a deep understanding of the processes and pipeline of the industry through project-based learning. 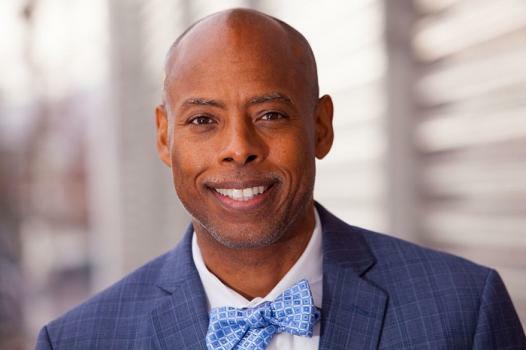 Jerome Solomon serves as Dean of the College at Cogswell and oversees all academic programs. Like his fellow faculty members, Solomon’s career in the game industry was illustrious and productive, having worked on numerous AAA titles at studios including ILM, Dreamworks, and Electronic Arts. This year, he pulled double-duty by also serving as Conference Chair of SIGGRAPH 2017- an organization that he has lent his expertise and passion to for over a decade. He brings his insight and influence to advance the school’s programs while ensuring its graduates have what it takes to succeed. For this week’s Spotlight Interview, Solomon shares with us some of the attributes that make Cogswell College a unique place to study game development and design and the digital arts. We hope you enjoy! (This interview was done via email and has been edited for length & clarity). ACR: Jerome, having worked on a slew of blockbuster films and AAA games in addition to your avid involvement with SIGGRAPH, what made you pivot into education as Dean of Cogswell College? Jerome Solomon: It is poignant that you ask this question with the disasters in Houston, Florida, and California because two years after Hurricane Katrina, SIGGRAPH went to New Orleans and trusted me with being the Outreach Chair. There, we built a computer graphics lab in a deserving high school with the help of many great companies including LucasFilm, Dreamworks Animation, nVidia, Autodesk, and Walt Disney Animation Studios. I was at ILM at the time. The project made me recommit myself to helping young people. Even though I loved every day in industry, it takes so much out of you; you must fully dedicate yourself to it. It becomes more than a job. I spent more than seventeen years in the industry when many people do not spend more than eight. It was time for me to move on to another part of my life. Being at Cogswell College is the best of both worlds because I am able to work in a studio-like environment doing what I love and also help young people reach their goals. ACR: Cogswell’s Game Design & Development and Digital Art & Animation programs culminate in Bachelor degrees. What does this rigorous curriculum allow you to achieve that a simpler certification program would not? JS: This work (in games and CG) seems simple to outsiders, but the tools and techniques are very deep and require many hours of training to learn. A Bachelor’s degree allows enough time and training to shape and mold students into professionals that are adequately prepared for these industries. I like to parallel it to flying a jet plane. Everybody thinks they can do it until they step into the cockpit of a 747 and see all the controls. We create animation and games; we are not just watching animation or playing games. With a Bachelor’s degree, we are able to increase a student’s writing and critical thinking skills to be on par with those of a professional. Students learn the behaviors and methodologies to become more successful in their careers. When graduates leave Cogswell, they have the minds and maturity of professionals in their fields of expertise. The most important thing for students are outcomes. We believe our methodologies lead to good outcomes and evidence – like a strong portfolio and excellent work. Hence, you’ll find our alumni everywhere- like Will Koehler who is at Double Fine Games, and Steven Chitwood who works at Walt Disney Animation Studios. ACR: How small is Cogswell’s student body, and what does this size allow you to do? JS: Our average class size is 13 students and we like it that way. Our small classes allow us to really know and help our students along their way. The students and faculty at Cogswell College are friends and we work together to support student success. 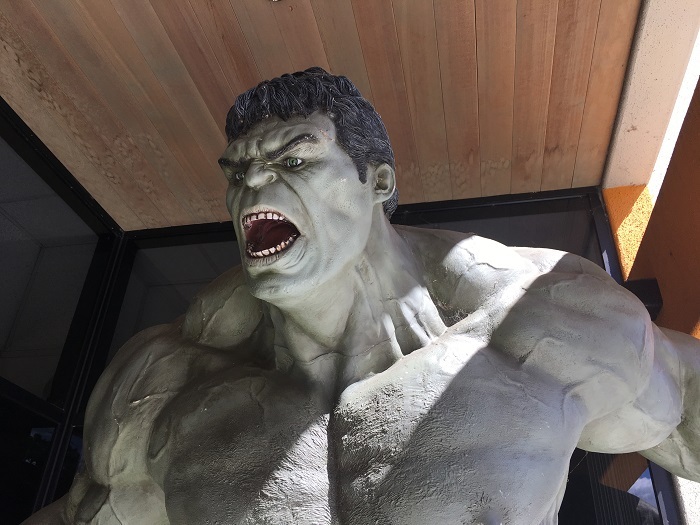 It’s a unique relationship and you can feel it the instant you walk in the front door of the college which is home to a giant Hulk statue. Our students really get to interact with the professors and be right next to them in the classroom. There are no Teaching Assistants grading students work and teaching classes, as at many larger colleges. Professor Nirmal Singh is the best math teacher on earth. Even students who hate math love him and learn from him. In our small classrooms, faculty like Professor Singh are faithful guides. This close-up interaction happens every day and for every student at Cogswell. When many colleges are increasing class sizes and putting distance between faculty and student, we are doing the opposite. ACR: Talk about balancing the evolving needs of industry and technology with the foundational approach? JS: This is a really great point. We believe we can be both narrow and wide. Cogswell College exists at the intersection of art, technology, and business. We force our students to learn things they are weak at and to strengthen themselves as a whole. I have always said that we are probably the only college in the world that has an Advanced C++ programming class and a Traditional Painting course running in the same building! ACR: Your programs are all project-focused and students get a great deal of ‘sandbox time’, don’t they? JS: They do. We have about 10-12 large projects running at the college. Everything from motion graphics, animation, a literary magazine, app development, to mobile and VR games. As one example, we’re creating a mobile game for AC Transit which is a large transportation/bus company in the East Bay. We are collaborating with their executives to design a game playable by people that ride their bus line. It will soon ship in both the Apple Store and the Google Play Store. Readers can check out a video of it here. Another current project is called Cogzine. It’s not related to animation or games, but it is creative and a good example of how we grow our students’ skills and creativity. Industry Game Designers author Game Design Documents and maintain them as the Bible of the game for the development teams. Our literary magazine is called COG and it is run by Professor Soma Frazier. Our students are the writers and editors. It’s an amazing piece of work, and this year our poetry competition was judged by the one and only Juan Felipe Herrera who is the United States Poet Laureate! The famous Glynn Washington, NPR/PRI Radio Host of Snap Judgement got involved. We have also involved Lemony Snicket’s Dan Handler in this project. ACR: You clearly remain passionate about the field of games, Jerome. What skill sets are new artists and designers often lacking that you seek to remedy at Cogswell? JS: One of my dear friends, Gil Valadez, visited us while he was at EA. He never holds back when talking to me, and he said, “Jerome, these new kids don’t know how to work together and it’s a pain!” He went on to say it’s our job to fix it before they get to the industry. They need to be ready from day one. So this is Cogswell College’s burden to carry. It is critically important for students to fail while they here are in college. We need them to make their mistakes and hit bumps while we are here to help and mentor them. (That means) setting up situations in which they can fail. There are soft skills and traits we hammer out in our project-based and learning-driven curriculum. We create employees who know how to work on teams throughout this process. It is hard and it is very painful at the time but this is what we do to grow. As far as shortcomings and specific skills, the biggest lack for the industry is people who can really use both sides of their brains. These industries need artists who are technical and can script and program. These industries need engineers who can make art and communicate with artists. Engineers who can be creative thinkers, and make solutions that artists can use! I think this is the big surprise when people come to Cogswell. They get surprised when they learn they will have to take courses in subjects that they are not good at. It is almost impossible to have a 4.0 cumulative GPA at Cogswell College. ACR: I want to turn to VR and AR momentarily because Cogswell was an early leader in this sphere. Tell us about how they are integrated into the curriculum. JS: Yes, we really are leaders in this area. We rolled out the world’s first virtual reality and augmented reality certificate program. We have representation from JauntVR and MergeVR, as well as a faculty member who works at Magic Leap. They all consult and teach classes to help us move forward in this new area. We currently have 4 VR classes running and much more in development. In addition, we will be rolling out concentrations in VR/AR/Mixed Reality to replace the certificate program. So, things are constantly changing, which speaks to how nascent VR/AR is. Working with something so new in the curriculum is quite exciting for us and the students. Faculty members have designed courses using VR and the students also work on their own projects. For example, Cuda is an as of yet unreleased VR storytelling experience from our Animation students. 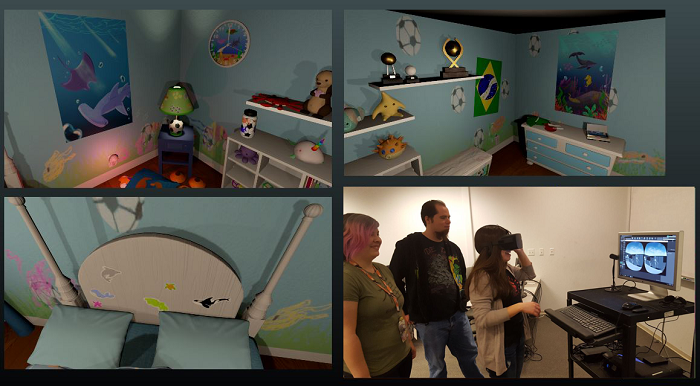 It was produced in a VR Animation course led by our Animation Program Director, Professor Monica Cappiello. ACR: Thanks to its Bay Area location and faculty from industry, Cogswell College has developed deep relationships and networks. How does this play out for students? JS: Industry is always on campus at Cogswell. We have official partnerships with DreamWorks Animation, Sony PlayStation, and Pixar. Many of our graduates return to campus to talk with students and help them along. In addition, we have strong industry advisory boards that consult with us on the curriculum. And of course, many of our faculty are ex-industry or currently working in the industry. Our alumna Maya Sundaram is now a Technical Artist at EA. She recently visited one of our animation classes and sat down with each student in the class to give pointers on their work. These are the type of neat and extraordinary experiences Cogswell students have with industry. We also welcomed Stone Librande who is a Lead Designer at Riot Games who did a workshop for our students. Stone is another longtime and beloved faculty member at Cogswell College. ACR: On another note, you served as the SIGGRAPH Conference Chair this year. What was that experience like? JS: Being the Conference Chair for SIGGRAPH 2017 was the privilege and honor of a lifetime. SIGGRAPH is much more than a conference; it is a large and vast family of people who want to move computer graphics forward. The world’s leading companies like Google, Apple, Disney, Pixar, LucasFilm, Weta Digital, Autodesk, Unreal Engine, Unity, Intel, and Sony are all involved. This list of important and influential companies involved with SIGGRAPH goes on forever. Moreover, the world’s leading research in graphics is presented and published every year at SIGGRAPH. ACR: For those who weren’t able to attend SIGGRAPH 2017 in LA, what did we miss that stood out to you most? JS: Two cool things stood out to me most. The first was when Apple did an exclusive presentation of their Augmented Reality technology which they will release in the new iPhone 10. The second was the reception for the conference at the California Science Center. We had about 2000+ of our nerdy SIGGRAPH friends under the Space Shuttle Endeavor celebrating this year’s most important graphics innovations! Next year’s 2018 SIGGRAPH conference will be in Vancouver, Canada, which is an amazing and beautiful city. Roy C. Anthony is leading the charge and it is going to be an awesome conference! ACR: Last but not least, what advice would you give to a prospective Cogswell College applicant who is looking for ways to boost their skills? JS: For the engineers, I would highly recommend learning a second language. You need to be well versed and articulate in order to communicate. The languages I would recommend are Java, Python, or C++. For visual artists, I recommend taking a drawing course. You need to develop your eye and have good fundamentals and learn about head heights, design, proportions, positive/negative space. For all prospective students, I recommend they contact our wonderful Admissions Department and connect with us. We have an online chat function so you just need to visit our website. They can help you through the process and let you know more about the academic expectations and requirements. We’d also love for them to visit the college and see what we are doing- come talk with our students and faculty and let them tell you what Cogswell College is like. No college is perfect, but Cogswell is a very special place. It’s an excellent, high-standards college for like-minded students and we are focused on their success.